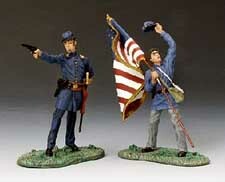 A Collection of American Civil War figures, based on the events on the events at the battle of the first Bull Run, on July 21, 1861. This series is retired, so only limited stock available. Scale 1:32 /54mm.